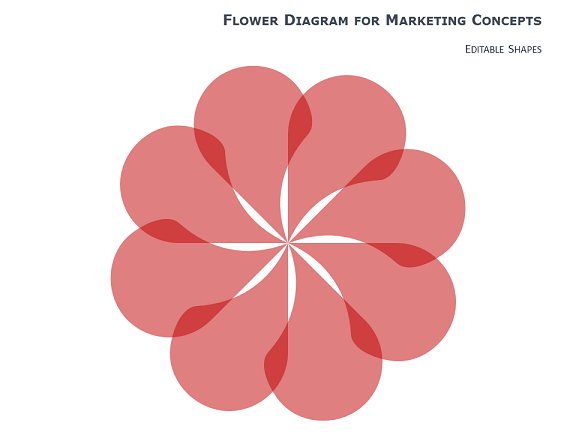 Free flower diagrams for PowerPoint with 8 petals. 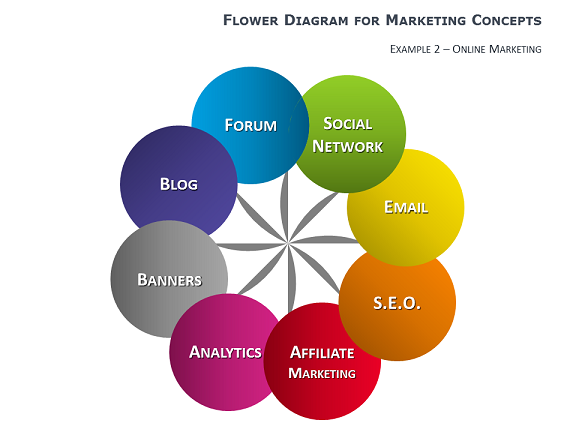 These pre-designed diagrams made of 8 fully editable shapes are especially suitable for marketing or business concepts. Includes 3 slides, with 2 examples of colored illustrations / variants. Shapes are editable, thus can be optimized according to your needs. 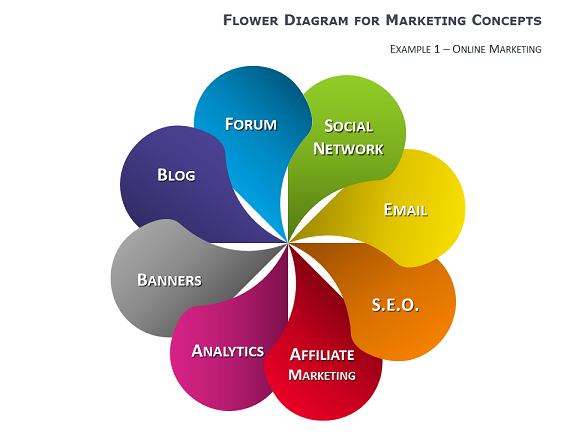 h2>Download the diagrams for free!